Vlado Martek was born in 1951 in Zagreb. He graduated from the University of Zagreb, major in Literature and Philosophy. From 1975 until 1978 he was a member of informal Group of Six Authors, and had shown exhibitions-actions with them and initiated the magazine-catalogue Maj 75 (May 75). He has shown his work in a number of solo exhibitions. By vocation Martek has been a (pre)poet and multimedia nomadic author. His work includes actions, agitations, ambiences, murals, poetry, texts on his own work (metatheory),texts on other artists (metareview), graffiti, land art, graphics, painting, author's books, sculpture, poetry, and objects. Since 1979 he has been working in a public library. In this text I would like to speak about Vlado Martek primarily as a poet. This may seem questionable, because it might cause the impression that his varied and comprehensive oeuvre is in this way reduced to just one field. However, it is important to speak about Martek as a poet, because in this way the radical imperative of defining the field of poetry is imposed upon us. In order to attempt to do that, I must first briefly outline the institutional field of literature, and within that, the field of poetry in the context of the influence that cultural studies have had on the study of literature. We should point out, like Marjorie Perloff, that the notion of poetry and poetic practice change with the time, as do interpretation paradigms, despite the fact that history and literary criticism present poetry as essentially universal, eternal, and unchangeable. In the discourses of history and literary criticism, poetry is still defined by the limiting, narrowly conceived notion of lyricism that implies that lyricism is a field where feelings are expressed in a lyrical mode. The lyrical mode is expressed by sublime poetry, whose language is detached from everyday language, or in a language that simulates everyday speech (Perloff, 1991). Christopher Beach writes that lyrical poetry explores the lyrical self and its place in the world, in different forms; it is symbolic, introspective, and metaphysical. In the 1980s, Milivoj Solar precisely defined lyrical poetry: “Because of its brevity and conciseness of expression, a lyrical poem is seemingly very simple. It usually presents an experience, a landscape, objects, persons, or a thought in only a few sentences. However, the simplicity of a well-written lyrical poem is the result of a complex structure, such a structure in which a series of elements participates in the same goal: the realisation of a special impression” (Solar, 183). Harold Bloom, writes Marjorie Perloff, thinks that a lyrical poem cannot refer to any object beyond the poet’s self, so that the only subject of thus understood poetry is subjectivity, which is expressed in a lyrical voice, a poem’s subject. In accordance with the romantic model, the self seeks truth and speaks of it in a single voice (see Đurić 2002: 30). However, since the end of the nineteenth century, and especially during the twentieth century, avant-garde, radical, experimental poets have questioned the thus defined field of poetry. Literature is realized in national languages that set its boundaries. In small language communities, literature, and especially poetry, is important, because it is connected with the “mother tongue” as an essential area of politics which has been treated by Branimir Bošnjak (Bošnjak: 157). According to Bošnjak, small nations establish a special relationship between language, literature, and politics. Throughout history, they have felt that their national identity has been imperilled and that the field of language, and thus the field of national literature, has been the field of preservation of national identity, i.e. national independence. The field of literature is at the same time the field of politics, because literature has to construct, confirm, and ensure this identity. This political project in literature should not be endangered in any way, especially not by literary practices that “maim” the language by “absurd” experiments. This is important to note, because Vlado Martek speaks of the “fate of a poet”, pointing out that he was born in a “small nation”, which is a fact that determines his horizon. However, he thinks that these boundaries need to be transcended. Martek has moved towards visual art in order to transcend the limits of language, because according to him, visual language is much more universal. Vlado Martek’s work can be described as avant-garde poetry or radical poetic practice. This is a term for authors who worked within the realm of experimental poetry during the twentieth century. Experimental poetry, especially in the domain of concrete and visual poetry, has established a universally recognizable language. It has been juxtaposed with the dominant lyrical paradigm of European tradition. In the historical avant-garde, poets have questioned the lyrical self, the sensitivity of poetry as its imperative quality, linear narration, conventions of graphic presentation of poems, the purity of genre, etc. Avant-garde artists perceived art as an area of provocation of the traditional world view and middle-class morality. The dominant stream of modernist poetry showed a great ability of absorption. During the time of modernism, radical elements of avant-garde poetry were soon “tamed” and aestheticized. The notion “avant-garde tradition” describes the process in which modernist poetry adopts and uses avant-garde procedures: collage, montage, discontinuity in the narrative, parataxis, multiple lyrical subject, etc. During the modernist period, these procedures were used to communicate a coherent message in a complex way, indirectly; a poem was regarded as a self-sufficient unit, while the purity of the medium was a necessity. In the humanist paradigm, poetry is written by an exceptional and gifted individual. The central figure in it is Man, who feels, suffers, contemplates, and has the need to communicate and convey his experiences and feelings to another human being, to speak in the name of others and for them (Kermauner). Poetry expresses the universality of human experience. Language is a transparent medium that serves as inert conveyer of the message. Formal elements of poetry like rhythm, verse length, sound repetitions etc., although distinctive, are in their essence marginal, because in this poetry COMMUNICATION is what matters. According to Charles Bernstein, in communication theory, based on the idea that there exist a sender and a receiver of the message, it is assumed that individuals, human beings, exist outside of the language and that they communicate in a language. Reality, as well as experience, precedes the language, because it exists outside of it and has to be expressed by it (Bernstein, 1986). The language of Martek’s experimental poetry was established on the one hand in relation to the international scene, and on the other in relation to the then Yugoslav and, to be more specific, Croatian poetry and art scene. Radical poetic practices, which Martek’s pre-poetic work also exemplifies, question these presuppositions. We can speak about Martek as a poet among visual artists and as an artist among poets. He speaks of himself as a “child of conceptualism”. The contextual framework in which emerges that which he calls pre-poetry was the (post)conceptual work of the informal Group of Six Authors (which, apart from Martek, included Mladen Stilinivić, Željko Jerman, Boris Demur, Sven Stilinović, and Fedor Vučemilović). They problematized art and its conventions. Miloš Đurđević wrote that these artists offered non-material concepts, ideas, and notions on the “nature and functioning of art as such, on the relation of man and nature, all the way to elaborate and targeted criticism of social institutions” (Đurđević, 108-109). Martek, a nomadic poet-artist, constructs an unstable artistic identity by being active in borderline areas of intersections and contacts of different arts. However, his unstable position hindered the reception of his work, especially poetry, because due to multiple loyalties, to poetry, art, and philosophy, he eluded standard definitions presumed under the notions of “poet”, “artist”, and “philosopher”. Martek works with poetic, artistic, and philosophical discourses. He destabilizes them, links them, transcends the boundaries of their discourse, and questions their institutional foundations. He is the flawed Artist, a flawed romanticist; we can even add - a flawed poet. Martek asserts that these statements show his self-irony and sarcasm. Viewing and reading his works, we recognize institutional frameworks, as well as codes that determine them (the lyrical, the visual), but there is always something that causes uneasiness. His work does not meet the reader’s/viewer’s expectations. Something confuses us and disturbs our automatic understanding of his texts, poems, and artworks based on verbal and visual art. Martek explains his imperative demand: “To be an artist and transcend that. To be a poet and not to be a poet. To be an artist and not to be an artist” (from a conversation with D. Đ.). He describes his poetry as transitive poetry, a term which he adopted from a text by Višnja Machiedo . . . . She wrote about transitive poetry in terms of an “address essentially directed at other human beings as a challenge, emerging from a conscious intention of the author, based on dream and desire that this new speech might “change life” and – as future-oriented poetry, towards that which is unknown to us – it precedes action.” (Machiedo: 164). She speaks about the poet as a multiplier of progress, and not only a mere “civil servant” of literature (or like today – making himself desirable in marketing terms – a “market servant”) (Machiedo: 164). From 1966 to 1973 Martek wrote traditional, classical poetry, which he still does today in order to remain “proficient in a media skill” (Stipančić, 1996: 92), but he soon made the transition into the field of “poetic objects” (Stipančić, 1995: 29). He points out that his work is an important occurrence in concrete poetry. Concrete poetry, explains Martek, is essential, because it thematizes its means in the manner of visual art. During the seventies and by the beginning of the eighties, Denis Poniž wrote about semantic concrete poetry, such as that written by Eugen Gombringer and the members of the Noigadres Group. He quoted the words of Adriano Spatola, who explained in 1975 that in concrete poetry the reader’s eye does not linger on particular “topics” of the poem, but embraces it as a whole. The classical “order” is disrupted: we face poetic material in its entirety (Poniž: 27). According to Poniž, in most cases semantic concrete poetry turns into non-semantic poetry. In such a poem, on account of visualization and graphic effects or effects that can be achieved with a typewriter or by typing over the existing text, its level of meaning is lost. In a semantic poem the meaning remains, but not in the foreground, which is visible in word plays or in a logical play with lines, sounds, syllables, words, and sentences. In non-semantic concrete poetry, language material is not used for what it is, but as entirely graphical, visual material, which abolishes literature and the poem as such. This and similar approaches to poetry we might call, in the words of Charles Bernstein, constructive writing. He points to radicalities or extremes of compositional strategies that tend to increase the artificial, non-naturalistic sense of a poem (Bernstein 1986: 73). However, Bernstein has stressed that the constructive basis is clearer in visual art than in writing. The field of visual art has also put forward the demand for artistic self-determination, in a much more dramatic and obliging way than was the case in poetry. Therefore, self-reflectivity is an essential characteristic of Martek’s artistic, but also his pre/post-poetic work. New art practice has demanded that artists develop self-reflectivity and invent a meta-language. The text was a part of artistic activity, or the text was set as artwork; statements were written – poetic as well as theoretical texts – in which the artist reflected upon his own art or the notion of art. Martek has developed this self-reflectivity in poetic practice as well. When a poet is active within the institutional framework of visual art, he provides himself with a possibility to enhance the field of poetry in a way mainly impossible within the institutional framework of literature. Martek speaks about “pathetic humility”. According to his opinion, a poem is an invitation to a journey; he asserts that in his poetry there are no skills and values of classical poetry, but that there is a poetic spirit which is “dragged by the poet through chimneys, sewerage, woods, and grass . . .” (from a conversation with D.Đ.). The investigation of institutional boundaries that enable a poem means that the poet enters poetry and exits from it. He records the poetic void, spits in the mouth of poetry, which is made up, and swears at the heart of poetry, which is also made up . . . Poems are written on paper. The vast space of blank paper and the gesture of a hand that writes down a poem . . . or words or text, text fragments . . . The blank paper enables a poem to be written . . . Or again the blankness of paper and a typewriter that records words and sentences that question the sense of the poem. “Who can still write poems . . . ?” Sentences question the institutional boundaries of Poetry’s ideology, while gesturality is introduced, for example, thus when the author paints over the words written by a typewriter. The density of paint varies, so that some words and sentences can be read, while others remain illegible or hardly readable . . . The Group of Six Authors was concerned with elementary processes in art. Demur was engaged in primary elementary painting and Jerman in elementary photography, while Martek investigated the elementary in poetry. Elementary processes imply the work with, expressed in structuralist terminology, pre-symbolic aspects of the artwork. In his pre-poetic phase, Martek insists on giving up the content. “Content” can be interpreted as work with the symbolic in the sense of communication in which the poet communicates something to a potential reader. He abandons the poet in order to become a pre-poet, he abandons poetry in order to make a poem, because a poem is not written, it is made. It is contained in the gesture of the hand that moves across the blank material ground (paper, mirror, etc.) and the progressing writing device, leaving a trace on it. Content is thus liberated, and the pre-poet approaches the language and a decision. In pre-poetry Martek is focused on elements that precede writing and are its material basis: paper, pencil, and eraser. By the mid-seventies he glued pencils and erasers together, wrote letters of the alphabet on paper, books, etc. Explaining that practice, he states: “This materialization with the help of the ready-made was most provocative, most efficient in showing my reflections on poetry.” (Stipančić, 1996: 93). The material aspect of Martek’s poetry indicates non-symbolic poetry, characterized by a historical, realist, anti-mythological world view, in which attention is directed at materiality both of the world and words. Although Charles Bernstein and Rachel Blau DuPlessis doubt the possibility that there is anything in human actions that has not yet been symbolized, this lack of symbolic properties can be understood conditionally, as discarding the symbolization formed in the classical system of values and meanings of Poetry. The materiality of language in pre-poetry, but also in later poetry, is demonstrated in its non-transparency, and non-transparent are Martek’s texts as well. He uses parataxis, disrupting the process of signifying, on the levels of semantics, syntax, subject position, and punctuation. But a pre-poet is primarily concerned with “problematizing of conditions and necessities”, and not with the work as the alibi for almost everything. There he reaches the pre-content as the centre of his activity. Because of that, Martek insisted on the engagement of poetry that sees its field of activity in pre-poetry, because “not the language, but social reality is its target” (Martek, 1997: 18). In his essay The Question of Engagement, he wrote: “Poetry is a process. This implies that on that level of cognizance, the poem-work does not exist anymore.” (Martek, 1997: 18). While traditional literature insisted on the poem as a work, a piece, radical poetic practices insist on the concept that the process of creation is inseparable from the poem itself. A poem shows the preconditions and conditions of its emergence. We might even say that the code thus turns into a message. According to Martek, the language of poetry is not a closed system that generates meanings, but a way in which a poet can intervene in social space. A pre-poet does not investigate language, in the sense of formalism of aesthetized high modernism, where poets use symbols that stem from different cultural contexts, building a monumental work, or in the sense of concretism. If language is social reality, then a pre-poet shows that language is not a neutral medium that conveys values, knowledge, and meanings, but that he constructs them. Poetry is not sacral art detached from society and everyday ideology. Pre-poetry is not beautiful, rounded-up, and coherent; it does not convey a content that is easily and comfortably consumed. Poetry is a process, because, in the words of Lyn Hejinian, it is a research language of our perception, of constructing our knowledge and our reality. Both in his poetry and texts Martek asks what poetry is, how it is possible, how it comes about, and what constitutes it. The best term is Martek’s textual production, because the terms “poem” and “essay” can be used only provisionally. His texts emerge from investigation of technologies of textual forms. Under this term I understand that which Charles Bernstein calls “the project of particularizing, historicizing, and ideologizing the interpretation of poetry” that “must especially, even primarily, address itself to the stylistic features of the work” (Bernstein, 1990: 237). The pre-poet destabilizes the essay as a genre whose aim is to explain something in understandable language. The text of poetry is destabilized by way of turning “verses” into statements that question poetry as a genre. Both poetry and essays incorporate materials that do not belong to them, according to a narrow genre definition. The dense, non-transparent inclusion of fragments from different discourse practices is equally present in poetry and essays, which stands in the way of their easy consummation. While futurists insisted on liberated words and concretists on graphism – on the materiality of a word as a graphic sign that visually exists on a page – the pre-poet insists on that which he calls preparatory actions. (“A poet has to do a lot before he makes a poem”, Martek, 1997: 27). Elementary processes point to “materiality” without which a poem does not exist: “Materiality, present in two forms in pre-poetry (writing tools, paper, and erasers), namely as a means and as awareness of means . . .” (Martek, 1997: 19). Martek criticizes visual, concrete, Lettrist, signalist, verbal-vocal-visual, and other variants of poetry for being too formal, i.e. the insistence on autonomous movement within literature as a segment of culture and not on concrete social movement. What can be a pre-poem . . . the alphabet written in oily crayons on paper. A pre-poem is a hand-made book, a book of the artist-poet; a pre-poem is constant repetition on paper . . . a pre-poem that names itself . . . letters . . . graphic symbols that mean nothing but point to their own potential ability to signify . . . a pre-poem is the very potentiality of language that is not realized in logo-centrism of lyrical narration . . . This is a book as well . . . A BOOK. A book (?) I DO NOT WANT TO WORK FOR THE IDEA OF POETRY. The artist’s book . . . a pre-book . . . creased paper on which the poet writes “every other day I am a / poet”, “ten times a year I am / a poet”. He states that he is not going to write poetry, which is poetry as well. Or, Art is the psychomorphization of the whole: pre-poetic theoretization of poetry, fragmented philosophical poem, typewritten, with lines and words “one poem”, “two poems” over it . . . Lines drawn with a typewriter and a line drawn with a pencil, handwritten and typewritten words . . . A poem, a drawing, a Pre-poet is capable and incapable of idealism. Martek does not want to have his poetic identity. As a pre-poet, he states “I change my opinion on poetry three times a year”. His poem becomes knowledge. Knowledge on poetry, constituted by discourses on Poetry as institution, which also eludes them. In the text “I kill poetry in order to resurrect it”, Martek writes: “A written poem (poetry) is always already expected and turns out to be the expected one” (Martek, 1997: 29). Expected refers to the strictly defined field of poetry, which is hard to avoid. In order to avoid it, Martek introduced the term pre-poetry and constructed both the context and the ideological position of his work, although even so he feels uneasy, because terms as such tend to become fixed, and every fixing means stabilization, i.e. something static, while Martek wants poetry as a constantly dynamic field of change, of fluidity, nomadic nature, hybridism, and constant transformation. He wants transitivity . . . That here we have a total transformation of the field of poetry, we can see when Martek in the “Conclusion” of the above-mentioned text writes, “Pre-poetry is not one of possible modifications of the way of life, a method of realizing poetry with more or less traditional recognizable material, so that, when everything is taken into account, it is either placed into a context or experienced. Pre-poetry is purification – HYGIENE. It is an active sense of the history of values. Because of that, pre-poetry is incomparable with other innovations in poetry from 1945 until today. It is a necessity. This is no longer about destiny and a narrative about it within poetry. Steps are taken forward, even outside of poetry, in the name of poetry, but with essential presuppositions of the hazardous basic question of poetry, semantics, writing tools and grounds.” (Martek, 1997: 31). Although in this quotation we can recognize traces of the charge inherent to the manifestoes of the historical avant-garde, which deny earlier experimental poetry, this act is not simply grotesque, fruitless, and unconvincing repetition of the negation gesture. The poet does not only discard traditional poetry, but also an aesthetization of that time’s radical poetry and its formalism. In the text that commences with the words “I do not expect anything of poetry . . .”, Martek explains, “Pre-poetry is not a re-evaluation of existing values, but a question of value in general. Therefore, many previous re-evaluations, or rather additions to existing values, are unimportant if compared to that which is aimed at now!” (Martek, 1997: 34). If we want to be able to decide on poetry, we must abandon it and then return to it. The aim of this abandonment and return is its re-establishment as human practice. This theme, stresses Martek, has attracted artists since the beginning of the twentieth century. The focus of the pre-poet on pre-poetry leads him away from language (or more precisely from the language of poetry) and brings him closer to contemplation, to the consideration of poetry as a social practice. Martek wants to abandon poetry in order to return to it. To abandon poetry, but to work with concepts of poetry, to juxtapose the written trace on paper and the blankness of paper, to work on a ground that is cut into pieces or torn at random, to face the trace of a pencil, the blankness of paper, and the void that emerges when we cut or tear away a piece of paper . . . Is that a pre-poem? Yes. The poet reverts to performative gesturality, we could say, as Ron Silliman wrote at the beginning of the eighties, characteristic of pre-capitalist societies. But according to Jerome Rothenburg, such gestures are not directed towards the past, which is viewed with the feeling of decontextualized nostalgia. And yet again, some contemporary theoreticians speak precisely of this gesture as a nostalgic view into the past . . .
Martek thinks that destruction in poetry is never self-sufficient. Elementary processes have emerged at intersections of poetic and visual art practice, questioning identities of poetry and poets in the name of spirituality that is equalled to the totality of life (from the conversation with D.Đ.). For Martek, it is important that art is blended together with life (from the conversation with D.Đ. ), i.e. everything must be subjected to life practice. He refers to Tristan Tzara, who stated, “I kill poetry in order to resurrect it”. Jerome Rothenberg, who has been studying Dadaism obsessively for a long time, wrote about a “dream of total art – and of life that has been made whole”, which meant different things and has been labelled with different names. For example, during the 1960s, the term was “intermedia”, then “total theatre”, “happenings”, etc. In the foreword of the book Revolution of the Word – A New Gathering of American Avant-garde Poetry 1914–1945, Rothenberg writes that around 1914 „consciousness (man’s awareness of himself in time and space) is changing. This is taken as both a crisis and an opportunity, and it presupposes a continuous need to confront and to integrate new experience and information. A common explanation connects this change, alteration, or expansion of consciousness with technological change (the basic condition of the modern world) or, more specifically, with a revolution in communications and an easing of cultural and psychological boundaries that together produce an “assault” of alternative ideas and forms.“ (Rothenberg, 1974: 16). The poetic domain has widened and encompassed the possibilities of the entire human experience; the medium has become flexible, says Rothenberg. It has encompassed juxtaposed ideas and images; poets have turned to foreign languages, new and twisted words, visual signs, experiments with animals, a medium-related language, clichés, and old, poetic words. Written text has become a musical score, or in the formulation of visual and concrete poets, a space in which eyes in a single glance read visual forms and meanings. There are also experiments with performances and fusions with other arts, tendencies towards inter-mediality and the freedom of poetry liberated from fixed boundaries . . . (Rothenberg, 1974: 17). Radical poetry has increasingly been looked upon as performative. Performative are linguistic attitudes that through realization make an action happen. Vlado Martek’s pre-poetry is performative. In his poetic work, performative features can be theoretically considered on several levels. On the one hand, performative properties are connected with the intentions of radical artists and poets to influence social reality or individual minds. Martek thus makes his agitation through slogans, buzzwords, and imperative statements, wishing to make the readers, the viewers of his work, become aware of the ideology of the society or the fact that the everyday is constructed as ideological. If we speak of performative properties in the sense in which Michael Davidson wrote about the poets of the San Francisco renaissance, we can say that Martek as a poet wants to relocate poetry from a piece of paper and perform it in real time, in the real public space of a street or gallery. This type of performative characteristics is connected with the hybrid character of his work, which is at the same time poetic, artistic, and performance-like. Martek wrote that exhibition-actions by the Group of Six Authors from the period between 1975 and 1979 implied “a non-conventional approach expressed in going out into the streets or squares and presenting the works there”. The artists explain their works in direct contact with the public, because they, in Martek’s words, “do not as such exist as dogmatic experience matrices or perfect givens” (Martek, 2005: 15). Miško Šuvaković describes these actions as “behavioural work with a specific social, urban, and institutional situation and its performative necessity, which show that art is a function or a disturbance of the context’s function, in other words, a symptom” (Šuvaković, 2007: 613). Applying the notion of performative and rhetorical characteristics in the context of performative arts, Goran Ferčec has analysed Martek’s work within these action-exhibitions. Ferčec writes that Martek’s work attains realization in a triple action, “writing as the first performance, then the conventional practice of displaying the work/poem/slogan as re-presentation, and finally the act of speech, i.e. explanation (a certain kind of rhetoric/agitation/argumentation) as a second performance” (manuscript). We can speak of performative properties also in the sense in which Johanna Drucker considers the “visual performance of a poetic text” in avant-garde. Poetry is mostly performed as an event in real time, prevailingly as the reading of poetry. The performance also encompasses the visual realization of poetry on a piece of paper, on canvas, as a projection, sculpture, and installation. In these events, material means are inseparable from the performed work. This kind of poetic performance questions the logocentrism (according to Jacques Derrida, metaphysical thinking of the West, based on logos, i.e. words and thoughts) of the European poetic tradition. In this tradition the poet is the first speaker and the creator of the original meaning of the message. Martek shows that the materiality of language, as well as the way in which a poem is realized, is equally essential and inseparable from the poem’s meaning. 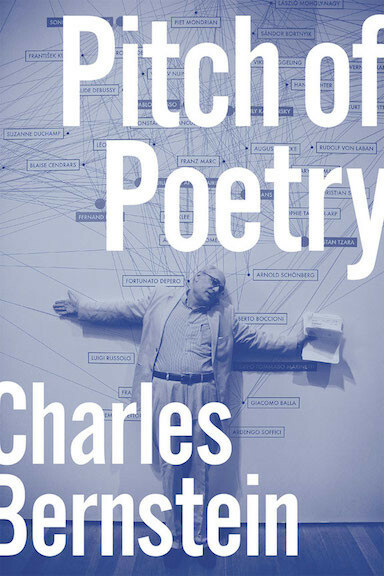 Charles Bernstein thinks that poetry, which exists as a performative event, and not only as a text, is a “multiple event” and cannot be equated with any graphic or performative realization; it is also not a sum of them all. By executing poetry in found materials, which he sets in interrelations or intervenes on them, Martek questions the authority of the poetic text. A poem is not a fixed, stable, and final linguistic object; language is mostly just one of its aspects. In 1982, Vlado Martek began to issue self-published poetry books, handmade and in small format. He types the words on a typewriter and often places texts and drawings in close relationship on a page. He Xeroxes and hand-binds this material, using painted paper as covers. In limited editions he then distributes these booklets in the world of visual art. In these self-published works we can observe that for Martek a page is set like a field in Charles Olson’s terminology or as a background onto which various elements that constitute pre-poetry are applied. Typewritten words are set on a page like on a painting ground, or we can even say applied; they are micro-essays that function as manifestos, drawings, lines, stains, and hand-written words. In self-published pre-poetry, Martek adopts political slogans and transforms them into poetic pseudo-slogans. Political slogans in pre-poetry are turned into irony, while their ideological construct is questioned. These poems and slogans, originating from late socialism, refer to the context of socialist society. He replaces the universally known verse sung to Tito in communist times (Comrade Tito, we swear to you that we’ll never leave your path) with the verse “Comrade Krleža, we swear to you...”, thus relocating it into the context of Croatian literature, in which Krleža is viewed as a mythical, heroic figure that must be followed. There are also the verses: “Me, Croat / I especially renounce Croatian / poetry”. Here the poet problematizes the canon of national poetry, which at that time had the function of constructing national identity in the context of the late socialist society. Later on, in his interview with Branka Stipetić, Martek said that his agitation, slogans, graffiti, actions, and buzzwords “are a continuation of an engaged line of poetry, the wish for a different kind of communication and, tentatively speaking, political activity, “my rebellious attitude, and disagreement with power holders and any kind of political power” (Stipančić, 1996: 97). Another slogan subjected to irony and turned into absurdity reads: “We do not want art / sacks of sand / we shall not yield”, in which we recognize the slogan “What belongs to others / we do not want / what belongs to us / we do not yield”. This slogan speaks about the status of art in socialist society, which does not want art as subversion or art articulated as pronouncedly intellectual, elite activity, but as something that participates in the construction of the socialist society as non-intellectual, non-subversive activity that idealizes socialist reality. The slogan “Death to fascism, freedom to the people” is turned into “Death to the state – freedom to art” (Red Book, 1982). Here the state becomes a threat to art, which since the constitution of the civil society has been defined as a realm of freedom, and with the avant-garde as a realm of rebellion and a promise of society’s potential transformation. While in the previous self-published booklet Martek was concerned with ideological discourse on society, which he transformed into ideologies of poetry in the “Pre-Poetry Exhibition”, in a short introductory manifesto to this publication Martek writes that he must leave art / poetry in order to be able to make decisions concerning them. He does not want to write poetry, because he would have to make a choice, which means that he would write just one sort of poetry. To write poetry means to repeat its established rituals, to believe in the Poet, to believe in Poetry and the power of Inspiration, as if this were self-evident. In the above-mentioned self-published edition “Pre-poetry Exhibition”, the verses thematize the very act of writing and its conditions. This meta-linguistic procedure indicates avant-garde procedures from the beginning of the twentieth century, but also conceptual art, whose approaches Martek uses in the context of poetry. The first verses he writes are: “a poem may also not / be”; in other words, in order to come about, a poem does not necessarily have to be realized, it can also exist as a concept of poetry. The verses “I am / a poet I am not / a poet are divided by a vertical, hand-drawn line. As if the artist showed his ambivalent position within poetic practice; the short essay preceding these verses begins with the following words: “I have invented the way in and out of poetry”. Martek is a poet because he acts within poetry, but in a way that he questions it in the capacity of an unquestionable practice, so that at the same time he “is not a poet” and feels the need to move out of poetry. Because of this, a pre-poem begins with the words: “I am inert: inspiration is superfluous / I am turning my back on poetry”. One poem says: “I do not want to adapt / to poetry”. A pre-poem shows that it really is a poem, that “how” is inseparable from “what” it is. The field of official verse culture (coined by Charles Bernstein) averts poets from self-reflectivity. Although poets often also act as critics, write reviews on other poets, translate important international poets, and introduce them to their own culture – thus introducing new concepts of poetic activity – poetry still remains a field of narrowly perceived lyrical practice trapped in concepts and ideologies of the institution called Poetry. Up until the 1990s, pre-poetry was not encompassed by the official Croatian verse culture. Since then, Martek’s status in Croatian culture has changed. Collections of his poems and essays were published, while his poetry was included in several of the most important anthologies. During the 1960s, experimental poetry emerged in socialist Yugoslavia; it was connected with experiments in visual art. Concretist poetry that treated words as visual, plastic symbols in the sense of language materiality and its visual and sculptural properties led many poets during the sixties and seventies to actions exclusively in the domain of visual art, as for example in Slovenia. When experimental poetic practice ceased to be an influential international phenomenon, which actually happened with the historical avant-garde movements at the beginning of the twentieth century and with concrete and visual poetry of the 1960s and ’70s, poets in most European, and especially in former East European, cultures gave up poetry or returned to the “official verse culture”, i.e. the body of practices and ideologies defined by the canon, which means the institutions of national poetry. Thus the majority of poets in the former Yugoslavia gave up experimenting until the end of the eighties and embraced postmodern, eclectic, melancholic poetry. In spite of the fact that dominant culture opposes experimental poetry, it can accept a radical experimental poet like Martek by assimilation. In that case, the regimes and protocols of history and criticism construct his or her poetic oeuvre as acceptable, which means that they “tame” it. In other words, radical aspects of a poet’s work are absorbed tacitly, as if they did not exist, or they are mentioned as marginal and unimportant as such or unimportant because they belong to protocols of other arts. In Martek’s poetic oeuvre there are also poems that we recognize as “true” poetry, i.e. lyric poetry, which we see in its motifs and language, with a pronounced archaic dimension, experience as essentially lyrical, so that this aspect of his work can be assimilated more easily. It is also possible to establish a separate canon of visual and concrete poetry, which presents it as other, exotic in relation to the dominant tendencies of lyrical poetry. Martek’s work can be placed within the framework of concrete and visual poetry. Such canons speak of the theoretical and poetic emancipation of the culture in which they are formed. Still, Michael Greer warned of the danger such approach leads to. Placed in the role of the exotic other, radical poetic practices, because they are “extreme” or “experimental”, confirm the existence of the dominant poetics and its supremacy in culture. This means that however “irritating” and “opposed” it may be, the function of experimental poetry in the dominant flow of culture is to ensure the central position of the prevailing moderately modernist and high modernist poetry (Greer, also see Đurić, 78). It is possible to construct a field of radical (experimental) poetry, but then we must take non-paradigmatic figures into consideration, which, like artists, were admitted into the canon of the new art practice. Branka Stipančić’s theses in the text “Words and the Image” indicate such a possibility. Here I think of Mangelos and his obsessive interest for words, language, and languages, of Josip Stošić . . . We might also speak of Gorgona Group’s poetic practice, as described by Branka Stipančić. Contemporary theory, but also the practice of experimental poetry, can establish itself in relation to the practices it recognizes and adopts as its own. In this context, indicative is the decision by Jerome Rothenberg and Pierre Jorris, who included Carolee Schneemann’s performance Interior Scroll in the anthology Poems for the Millennium (Rothenberg, Jorris: 436-439). Or, if we suppose that experimental poetry is almost impossible in small cultures, then we can suppose that poetry retorts by chameleoning the strategies of inhabiting neighbouring areas, which is in this case the field of visual art that abandons the strategies and procedures of classical art disciplines and their media (painting, sculpture...). 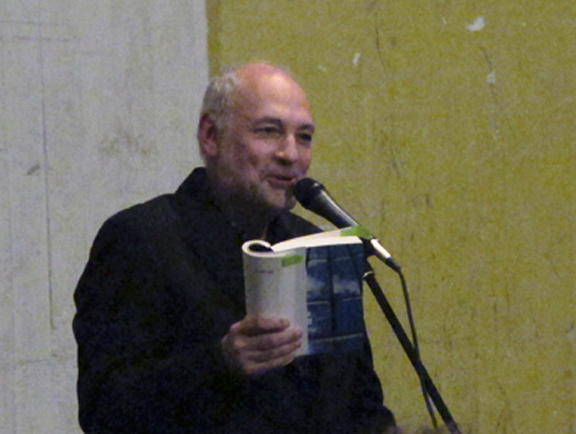 In thus constructed field of experimental poetry, marginal or non-existing figures in the national canon of official verse culture would become crucial, and Vlado Martek would occupy one of the central positions because he applied art procedures to poetry and vice versa, realizing a unique body of texts about his own poetic and artistic work. The connection between radical art practice and radical poetry has existed since the beginning of the twentieth century. We can observe that in the historical avant-garde, on the example of Italian futurism, Russian cubist futurism, German and Swiss Dadaism. We also see that in the neo-avant-garde, on the example of concretism, neo-Dada and Fluxus. If we observe the art scene in Croatia, Slovenia, and Vojvodina, we could say that artists had often commenced their work as poets, but then turned to visual art. Or we could quote the words of Jerome Rothenberg and Pierre Jorris: “poetry and art overlap, while the usual boundaries between different kinds of art are abolished; sometimes this is done in art movements (Cobra, Fluxus), which are often headed by poets. That is why poetics of poets are in their focus” (Rothenberg, Jorris: 11). The poetic quality was the principal property of textual practice which in the former Yugoslavia, and especially in Croatia, emerged within the framework of art practice. The texts by the members of the Gorgona Group were poetically charged, so that their textual practice can also be interpreted within the framework of the newly understood, altered, and enhanced notion of poetry. Mangelos started as a poet, but he turned to art. Both his poetry and his texts can be placed in the domain of a dramatically altered notion of poetry. Stošić’s poetry and his work with texts can be equally successfully placed in the context of poetry and the context of visual art. Finally, I would like to refer to Barrett Watten, who wrote the following: “just as the work of art is constructed, so our interpretation of it must necessarily be a construction” (Watten: 18). If we proceed from modernism to Foucault’s interpretations, he asserts, we can analyse how social discourses construct individual, authorial, and subject positions and how institutions construct terms whose meanings we construct afterwards. Watten thinks that if poetry and poetics want to survive in a cultural environment dominated by institutions, they have to show that they are able to address other hierarchies and not only their own. His essays are aimed at closing the aesthetic gap between literary and other artworks and the cultural context; their consequence is the opening of the form to the context, which is, according to this author, a necessary development in art. It is therefore necessary to focus on the gap between the supposed autonomy of literature and the methodologies of cultural studies. - Machiedo , Višnja (2005), “Arthur Rimbaud , iza ili ispred nas”, in: Drugi život, DHK, Zagreb , 2005., pp.159 -172. How many poets replaces the pre-poet? I renounce even this decision.